The Tax Resistance League (TRL) was formed in October 1909. Founder members of the organisation included Louisa Garrett Anderson, Margaret Nevinson, Cicely Hamilton, Edith How-Martyn, Sime Seruya, Anne Cobden Sanderson, Maud Arncliffe Sennett, Lena Ashwell, Minnie Turner , Margory Lees, Dora Montefiore, Beatrice Harraden, Evelyn Sharp and Eveline Haverfield. 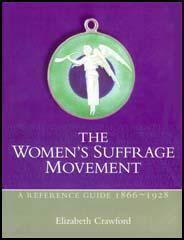 The TRL remained under the auspices of the Women's Freedom League. The motto adopted by the Tax Resistance League was "No Vote No Tax". 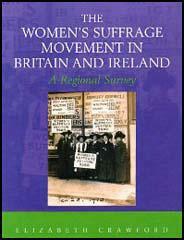 According to Elizabeth Crawford, the author of The Suffragette Movement (1999): "When bailiffs seized goods belonging to women in lieu of tax, the TRL made the ensuing sale the occasion for a public or open-air meeting in order to spread the principles of women's suffrage and to rouse public opinion to the injustice of non-representation meted out on tax-paying women." Dora Montefiore, who lived in Hammersmith, was one of the first members of the Tax Resistance League to have her goods seized: "As is well known, bailiffs are only allowed to enter through the ordinary doors. They may not climb in at a window and at certain hours they may not even attempt an entrance. These hours are from sunset to sunrise, and from sunset on Saturday evening till sunrise on Monday morning. During these hours the besieged resister to income tax can rest in peace. From the day of this simple act of closing my door against the bailiff, an extraordinary change came over the publicity department of daily and weekly journalism towards this demonstration of passive resistance on my part." Evelyn Sharp was one of the last to suffer at the hands of the authorities: "So I came home one day, early in 1917, to find a bailiff sitting in my flat. The bailiff was a real gentleman. He obviously hated his job, and since he must have retired long ago I shall do him no harm here by saying that he let me discover this by asking me not to let them know in Carey Street that he was at all friendly with me. It was not easy for either of us to remain enemies, boxed up as we were in the same room all day - I had let my largest room to a war worker - and very soon he was telling me about his son in the Army and I was converting him to votes for women." So I came home one day, early in 1917, to find a bailiff sitting in my flat. The bailiff was a real gentleman. He obviously hated his job, and since he must have retired long ago I shall do him no harm here by saying that he let me discover this by asking me not to let " them" know in Carey Street that he was at all friendly with me. It was not easy for either of us to remain enemies, boxed up as we were in the same room all day - I had let my largest room to a war worker - and very soon he was telling me about his son in the Army and I was converting him to votes for women. Under the circumstances it was difficult for him to stay the whole twenty-four hours in my apartment, although, when I pointed this out to one of the officials who came round, he replied stiffly, "Everything is proper under the Act," which gave me an idea for a French farce that I have never carried out. But the bailiff had finer feelings, and he made it as pleasant as he could for me by getting his meals elsewhere and going home at night and for weekends. To enable him to do this I promised him that I would remove nothing from the flat, and he was good enough to say that my simple word was enough for him. When at last the day came, quite six weeks later, on which they were to remove my furniture, he arrived in a state of deep distress at his usual hour after breakfast. I asked him if there was anything to be done about it, and he averted his face, as if ashamed to speak.